The book includes a Foreword kindly written by the SKA Director-General Prof. Phil Diamond, followed by a Preface by the editors summarising the close and active interest that the Spanish astronomical community has maintained in the development of the SKA. 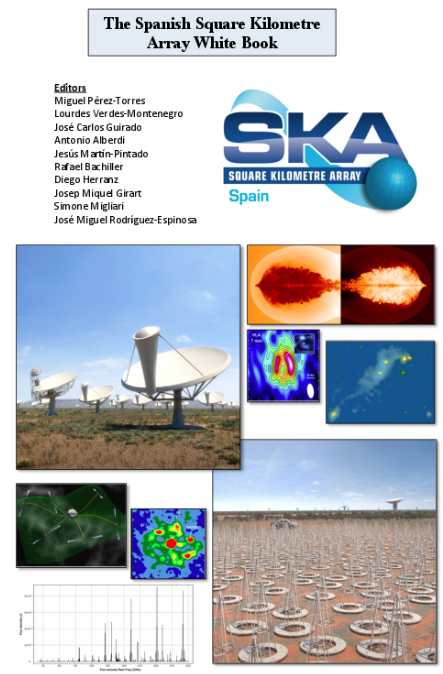 Spanish researchers and engineers are active members of several SKA working groups since 2012, and currently 9 Spanish research centres and 11 companies contribute to the design of the SKA in 7 work packages, valued by the SKA Board at 2 Million Euro. With this White Book, the Spanish astronomical community clearly states a strong interest in Spain becoming an integral part of the SKA project, strengthening the current participation in the design, getting engaged in the construction, and having a leadership role in SKA science.